Spoiler alert! While this isn’t our full episode recap, the following article may contain some mild spoilers from the latest episode of The Good Doctor. If you haven’t watched the episode Apple yet, read on at your own risk! Monday night’s episode of The Good Doctor put Dr. Shaun Murphy in a tough situation. When his breakfast was interrupted by Lea, his neighbor who he totally has a crush on, Shaun was forced to break his routine and head to the supermarket in order to buy a new apple. While there, he became the victim of an armed robbery and, due to his difficulties with communication, a bad situation turned worse. The episode was intense, at times scary as you genuinely feared for Shaun and, of course, emotional (which is what The Good Doctor does best). However, this particular episode was extra special because not only was it one of the best episodes yet to date for the series but, it also served as a mini Bates Motel reunion. 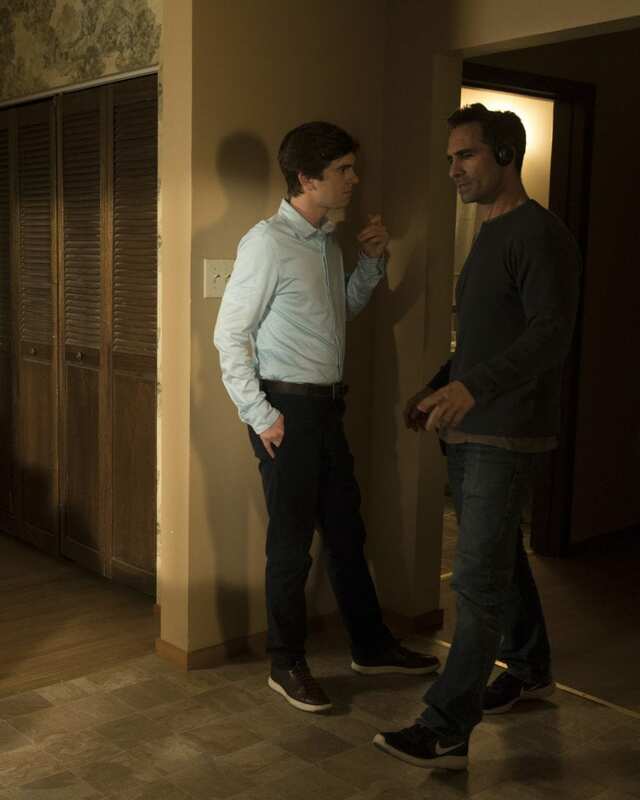 Behind the scenes, series star Freddie Highmore was reunited with his fellow Bates Motel castmate, Nestor Carbonell. The two had the opportunity to work together again on The Good Doctor since Carbonell stepped in as director for the most recent episode. Highmore is also a producer on the series. The Good Doctor fans might have also realized that, with Carbonell directing the episode Apple technically, we also got a mini LOST reunion as well! Fellow LOST castmate Daniel Dae Kim is an executive producer on the series. Pretty cool, right? 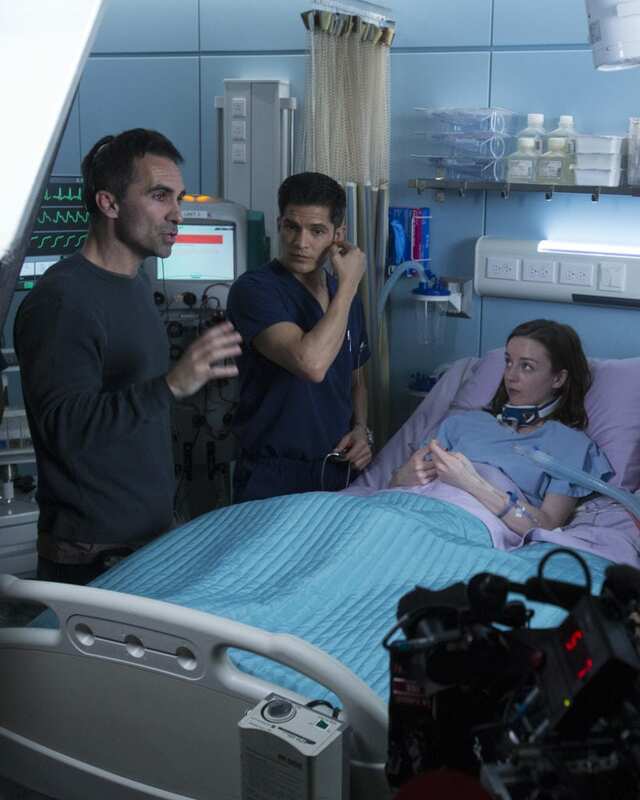 Carbonell did a superb job with Monday night’s episode and we certainly hope he gets the opportunity to come back and direct another one soon!
. 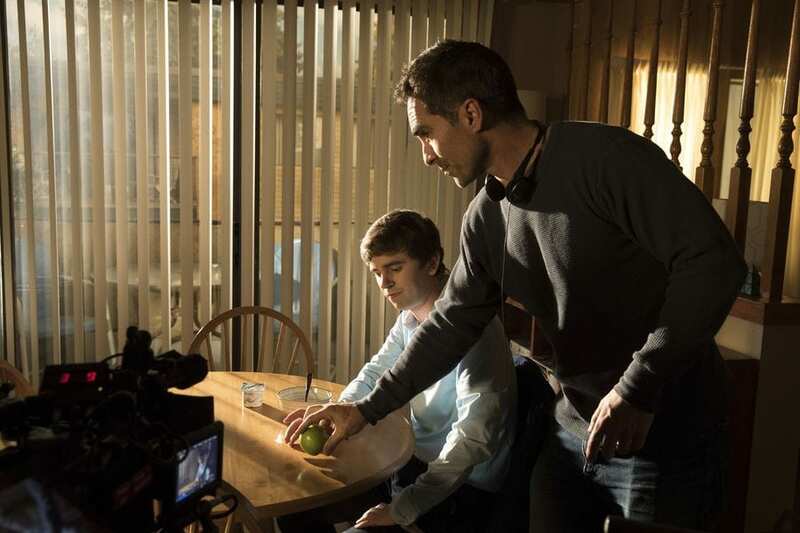 @InsideBates’ @CarbonellNestor reunites with Freddie Highmore to direct tonight’s #TheGoodDoctor! East Coast: Get ready for a wild ride courtesy of these two locos. @flyingrenaud and old #ResurrectionBlvd costar @CarbonellNestor cooked up a good one TONITE! If you’re not familiar with The Good Doctor, the series centers around Doctor Shaun Murphy (played by Freddie Highmore), a young surgeon with autism and savant syndrome who relocates from a quiet country life to join a prestigious hospital’s surgical unit. Murphy is completely alone in the world and experiences several challenges when it comes to his surgical career. He is unable to personally connect with those around him but Shaun uses his extraordinary medical gifts to save lives and challenge the skepticism of his colleagues. The series stars Highmore as Dr. Shaun Murphy, Antonia Thomas as Dr. Claire Browne, Nicholas Gonzalez as Dr. Neil Melendez, Chuku Modu as Dr. Jared Kalu, Beau Garrett as Jessica Preston, Hill Harper as Dr. Marcus Andrews, Richard Schiff as Dr. Aaron Glassman and Tamlyn Tomita as Allegra Aoki. The series is written by David Shore (House). Shore is also an executive producer along with Daniel Dae Kim (Lost, Hawaii Five-O), David Kim and Sebastian Lee. Have you seen Monday’s episode? What did you think of it? What do you think of the Bates Motel and LOST reunions? Let us know your thoughts in the comment section below. The Teaser Trailer for ‘Incredibles 2’ is the Most-Watched Animated Trailer Ever!